23838 Filmore Street Taylor, MI. 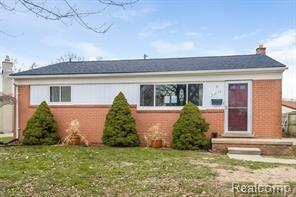 | MLS# 218040143 | The premier resource for all real estate information and services in Metro Detroit. MOTIVATED SELLER! FULLY REHABBED WITH EXTRA BATH AND BEDROOM! MUST SEE, NEW APPLIANCES, STUNNING UPDATES, PICTURES DON;T DO ENOUGH, CLOSE TO ALL FAMILY NEEDS.